Tix on-sale 9am Fri, June 23 here. 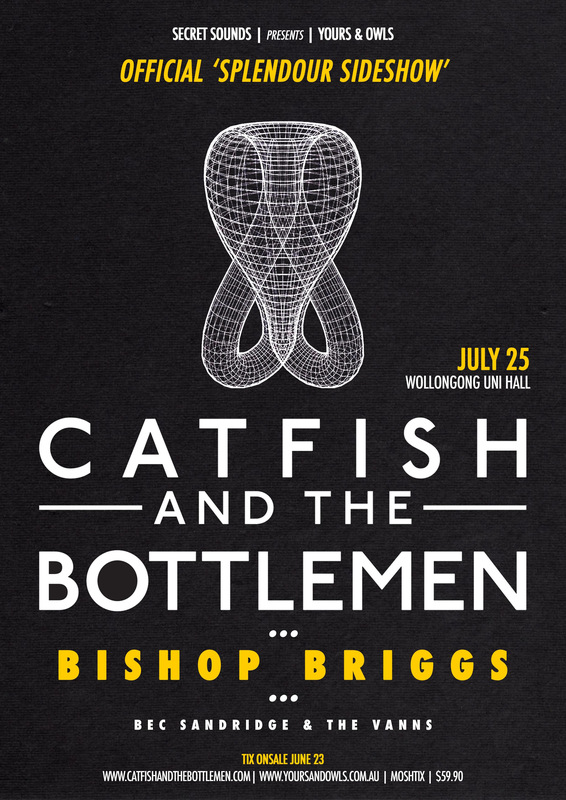 Secret Sounds and Yours Owls are joining forces to present to you an Official Splendour Sideshow in the ‘Gong with our favorite international acts Catfish And The Bottlemen and Bishop Briggs. We are chuffed to bring an eclectic mix down south, including handpicked home grown buzz artists Bec Sandridge and The Vanns joining the show. 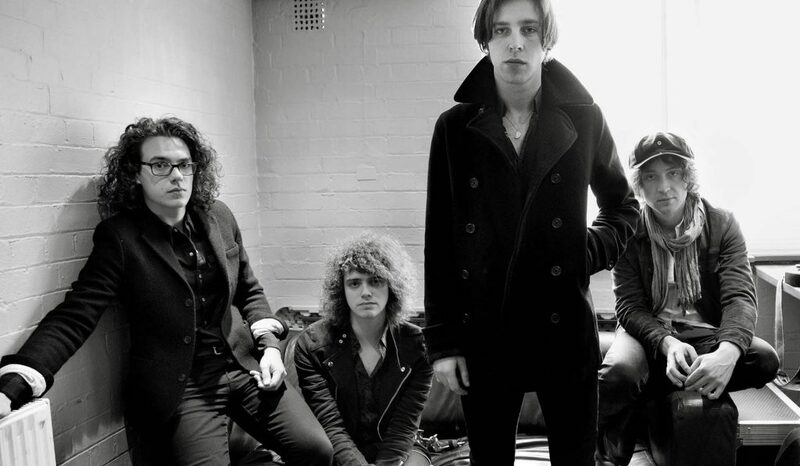 It’s set to be a pretty big year for Catfish And The Bottlemen. After incredible sets at Falls Festival that left everyone wanting more, the boys will back to take on Splendour and have announced two massive side-shows in Sydney at Hordern Pavilion and Melbourne at Festival Hall. Heralded as the most exciting new guitar band to break through in the UK this decade, Catfish And The Bottlemen, debut album “The Balcony,” gained platinum status in Britain. The year 2016 saw the band’s second album, “The Ride,”Featuring hit singles ‘Soundcheck‘ and ‘7‘, debuted at No. 1 in the UK and sold an incredible 40,000 copies in its first week alone – now claiming gold status. In Australia, ‘The Ride‘ debuted at #6 on the ARIA charts as well as scoring triple j feature album and three entries into the Hottest 100. Elected this year at the Brit Awards as Best Band in the UK, Catfish And The Bottlemen certainly showed that the fans were right in choosing. 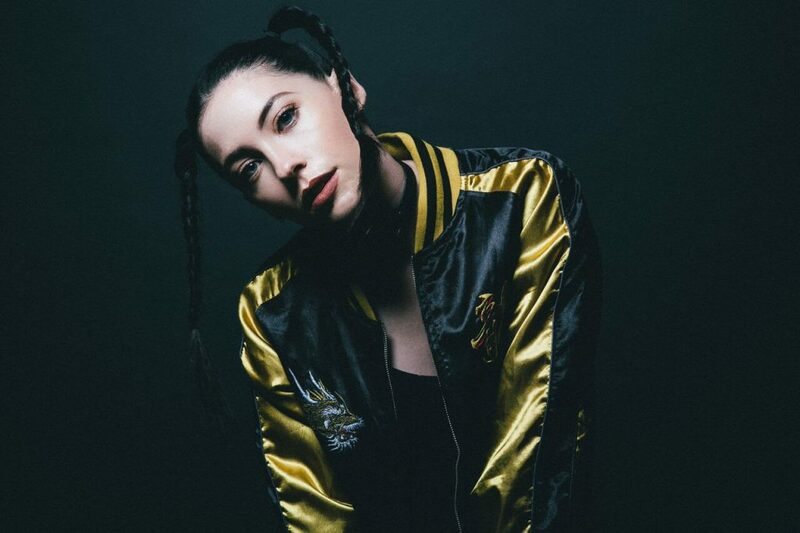 LA based singer/songwriter Bishop Briggs is a buzz artist impossible to ignore. Not many new artists can say they’ve scored over 40 million Spotify plays without dropping an album, but it’s thanks to her wholly unique sound on hit singles ‘River’, ‘Wild Horses’ and more recently ‘The Way I Do’ which The FADER calls “a mix of trap-indebted drums and vocals burning with the fire of Dusty Springfield”. Bishop Briggs’ rise to success may seem to have happened overnight, but the rising star has been perfecting her singing and songwriting since she was old enough to carry a tune. Her voice has grit and heft, putting her in the lineage of female vocalists such as Janis Joplin, Florence Welch, Aretha Franklin, and Alabama Shakes’ Brittany Howard. A nomadic pop/punk logomaniac, Bec Sandridge has a guitar swagger reminiscent of St. Vincent, and the delivery of new wave icons like Deborah Harry and David Byrne. Her most recent single ‘High Tide’ has landed high rotation on triple j and was a fan favourite on her recently wrapped Australian tours alongside The Rubens and Highasakite. 2017 has already included tours alongside The Rubens, Highasakite and The Naked & Famous, appearances at Secret Garden Festival, The Hills Are Alive and Mountain Sounds Festival with Groovin’ The Moo, Big Pineapple Music Festival and Yours & Owls Festival still to come. Possibly the most adorable person on social media, be sure to keep an eye on her Facebook to stay updated. Rambunctious rock’n’rollers, The VANNS are the lovable reprobates that’ll give you a good time and a heavy hangover. Already having 2 EP’s under their belt and following on from the recent release of “Skinny Legs”, the band are now showcasing a mature sound – subtly taking their frenetic rock and adding a touch of refined sophistication to their songwriting. With the a new EP around the corner, it’s time to start getting excited with some new tunes set to hit the airwaves.